In this module of U.S. Cultural Values and Ideals 101, we will discuss the third value of U.S. culture, BRAVERY, how it shapes our military and even our social conscientiousness. 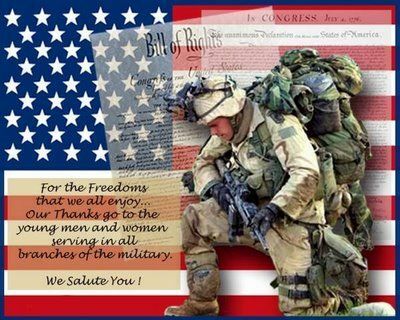 Like most countries, the United States of America was established through a military victory. After breaking ties with England, Americans were free to create their own country. As society struggled to gain its identity, another war ensued, the Civil War. The first American war was fought over issues of justice and equality for all. This fight for freedom became a defining marker of the American military. 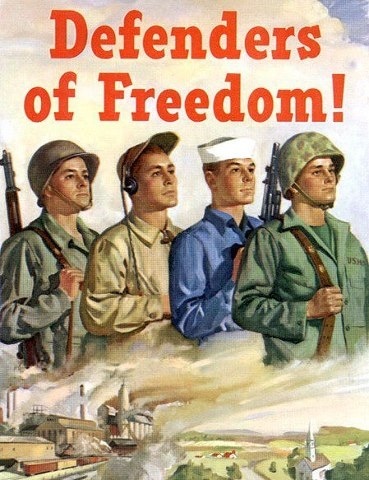 America sees itself as the "Defender of Freedom", not only for itself, but for the world. What do you think about this statement? Discuss your thoughts with your instructor and group. Why do Americans love their military so much? 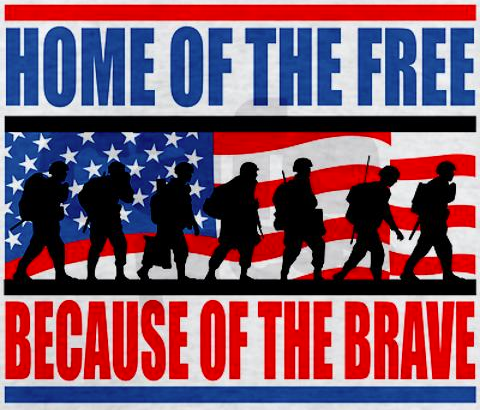 Some would say it is because the United States Armed Forces have consistently defended their freedom. 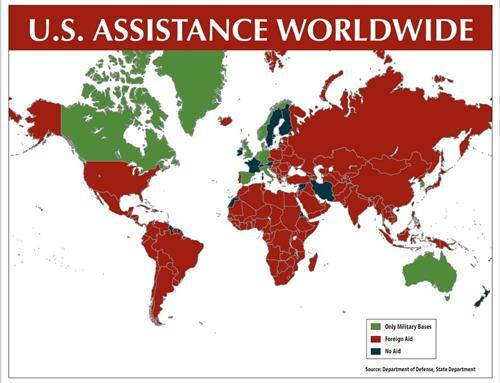 Other's would point to USA's military size and power. Critics see America's global militarism as a negative aspect of the culture. What do you think? Discuss your opinion with your instructor and/or group. World War II was the beginning of America's global militarism. The country was united against a noble cause and began to see itself as a "Defender against Tyranny". In fact the generation who fought in World War II is referred to as the "Greatest Generation" as is still respected today. After WWII, President Eisenhower, warned that the U.S. may fall into the peril of the "military industrial complex", in what he called the "terrible rise of misplaced power". Do you think the U.S. has fallen prey to a "military-industrial complex"? Explain. The U.S. has been compared to the Ancient Roman Empire in terms of the scope of its military influence. Do you agree or disagree? Discuss your thoughts with your group or instructor. All of the wars fought since WWII have been met with criticism and skepticism, but the American Soldier is still a respected figure. Militarism is deeply entrenched in the American Psyche......Recent polls suggest that Americans trust the military roughly three times as much as the president and five times as much as their elected representatives in Congress. The tenacity of this trust is both striking and disturbing. What is your opinion regarding the American military? Explain. Discuss your thoughts and ideas with your group or instructor. Read more about the world's view of American armed forces here. Movie recommendation: American Sniper takes an honest look at the perils of being a modern American Soldier. The passion that Americans feel for their military has been likened to European's passion for soccer. Do you agree or disagree? Discuss your thoughts and ideas with your group or instructor. America- "The Helper of the Helpless"
The idea of the "Land of the Brave" also extends to the American ideal of helping the helpless. We’re Americans. When our neighbors are in trouble, we help them. We don’t fret over whether we have time, we give the time. We don’t check our wallets to see what’s in there, we give. We don't check and see if it's safe, we run toward those in danger. It is the spirit that sent American soldiers to free Europe in World War II. It is the spirit that sent police officers and firefighters into burning buildings on 9-11. It is an essential piece of the American Dream. Read more about American generosity here. Some critics suggest there are hidden motives behind U.S. generosity. What do you think? Discuss your thoughts and ideas with your group or instructor. 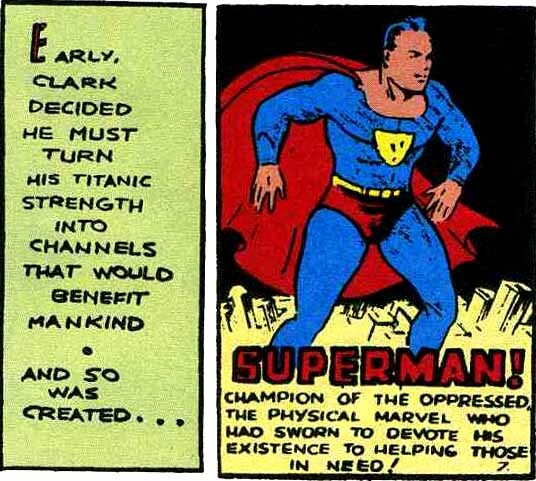 Superman, a popular American comic book hero, was created in 1938 and exemplifies the American ideal of helping those in need. Superman is widely considered an American cultural icon. 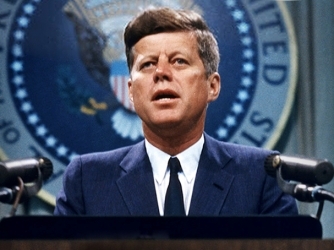 He has fascinated scholars, with cultural theorists, commentators, and critics alike exploring the character's impact and role in the United States and worldwide. Even America's Presidents have declared to the world their intentions to offer assistance. How do you view America's "Superman Complex"? ​Discuss your thoughts with your instructor or group. From Bunker Hill to the Berlin Wall, the American love of liberty has inspired a commitment to see the cause of liberty triumph abroad. As long as America is guided by its principles, the United States will not only continue to enjoy the blessings of liberty at home, but will also maintain its stand for freedom in the world. What do you think America's role is in the world? Discuss your opinion with your instructor and group.